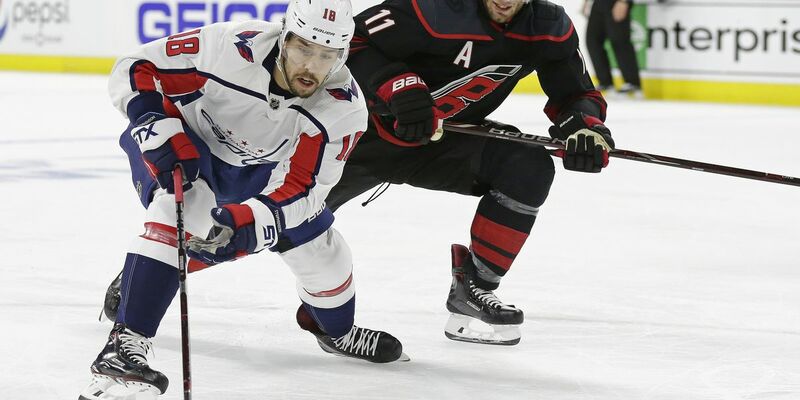 RALEIGH, N.C. (AP) - Rookie forward Warren Foegele had two goals and an assist, Petr Mrazek earned his fourth career postseason shutout and the Carolina Hurricanes won their first home playoff game in a decade, routing the Washington Capitals 5-0 on Monday night. They won all four regular-season meetings with their longtime division rivals - first in the old Southeast, now in the Metropolitan - before winning the first two games of this series on home ice. Svechnikov was one of two Carolina forwards to sustain upper-body injuries in the first 10 minutes - physical winger Micheal Ferland was hurt about 2 minutes earlier - and that left the Hurricanes' bench short for the final 2½ periods.